In the U.S. government’s just-completed fiscal year for 2014, there is a very large discrepancy between the “official” size of the budget deficit, $483 billion, and the amount by which the U.S. national debt increased, $1,086 billion (or $1.086 trillion, if you prefer). We’ve been digging through the Monthly Treasury Statements issued by the U.S. Treasury Department to get a better understanding of how that large of a discrepancy could possibly happen. 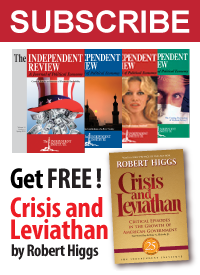 We estimate that the discrepancy really works out to be $244 billion, which is the figure we obtain when we subtract the $277 billion that the federal government borrowed from “itself” (primarily from Social Security’s Old Age and Survivors Insurance Trust Fund), the nearly $70 billion increase in the federal government’s Operating Cash (because Uncle Sam likes to have “walking around” money), $11 billion in “Miscellaneous Adjustments, and the $483 billion represented by the “official” budget deficit of the U.S. government from the $1,086 billion year-over-year increase in the nation’s total public debt outstanding. In going through the Monthly Treasury Statements, we found two primary contributors to the hidden deficit: Deposit Funds, which represents money the U.S. government accumulates but does not own, and Federal Direct Student Loans, which represents money that the U.S. government borrows for the purpose of loaning out to college students. The contribution of the U.S. government’s Deposit Funds liability, which accounts for just under half of the $244 billion discrepancy, is the result of the shell game that U.S. Treasury Secretary Jack Lew was playing during the debt-ceiling debate of the federal government’s 2013 fiscal year, when Treasury officials redirected money that should have gone to things like the Civil Service Retirement Trust Fund for government employees to avoid having to borrow more money from the public than the U.S. Treasury was authorized to do under the law. 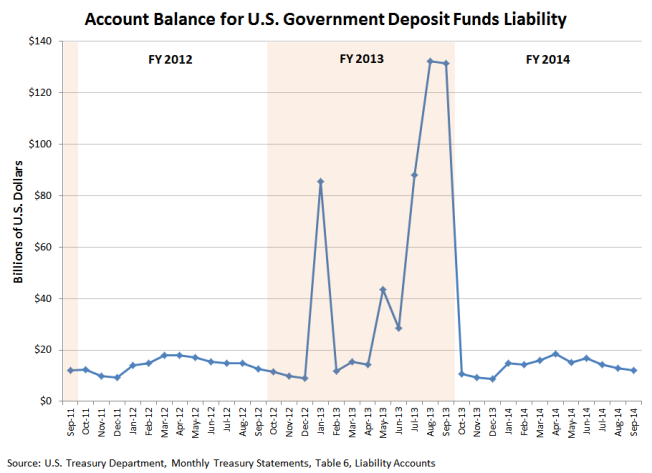 The chart below shows how the account balance for the U.S. Treasury’s Deposit Funds changed from month to month during the last few fiscal years. When the debt-ceiling crisis was resolved in October 2013, the first month of the federal government’s 2014 fiscal year, the U.S. Treasury immediately rushed out to borrow over $119 billion to replace the I.O.U.s it had borrowed from “itself” during that shell game. And then, on top of that, the U.S. government borrowed an additional $123 billion so it could loan the money directly to college students, accounting for the remainder of the U.S. government’s hidden deficit. The chart below shows how much debt the U.S. government has accumulated for the purpose of loaning money directly to students since 2004. Nearly all of the increase occurs after 2008, which corresponds to President Barack Obama’s tenure in office, which saw the federal government take over the student loan industry from the private sector. 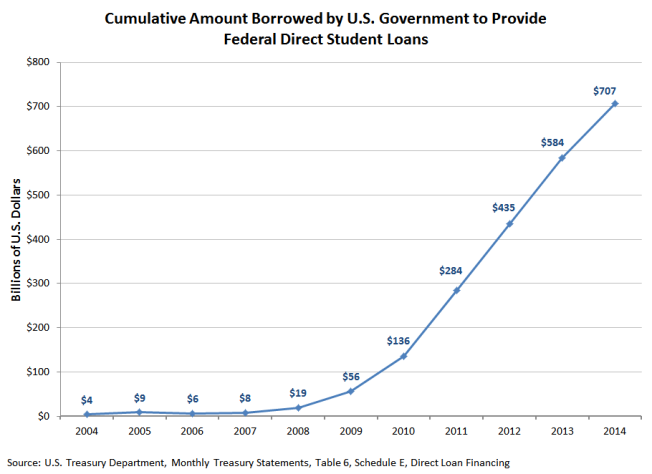 The U.S. government’s cumulative borrowing of $707 billion U.S. dollars to issue student loans accounts for nearly $1 out of every $10 that the U.S. government has borrowed since President Obama was sworn into office. 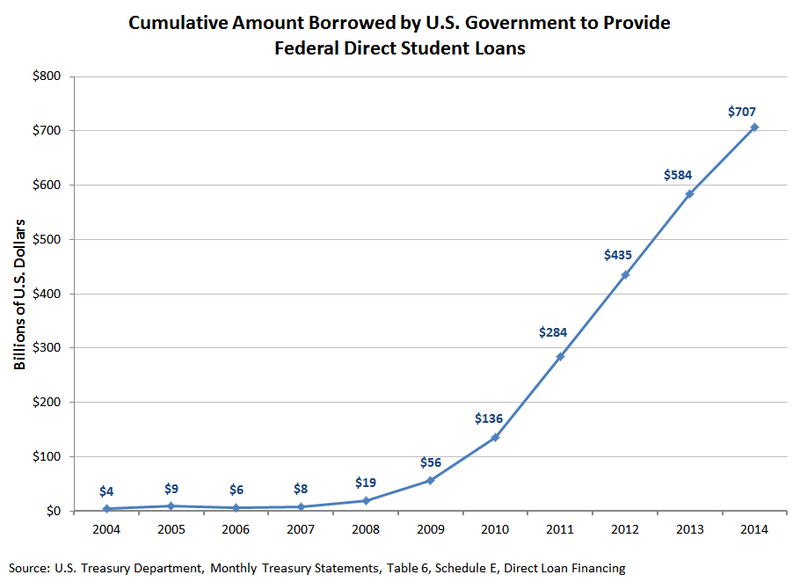 That makes Federal Direct Student Loans the largest single contributor to the hidden deficit of the U.S. government.